A Market-Frankford Line train at 46th Street Station. 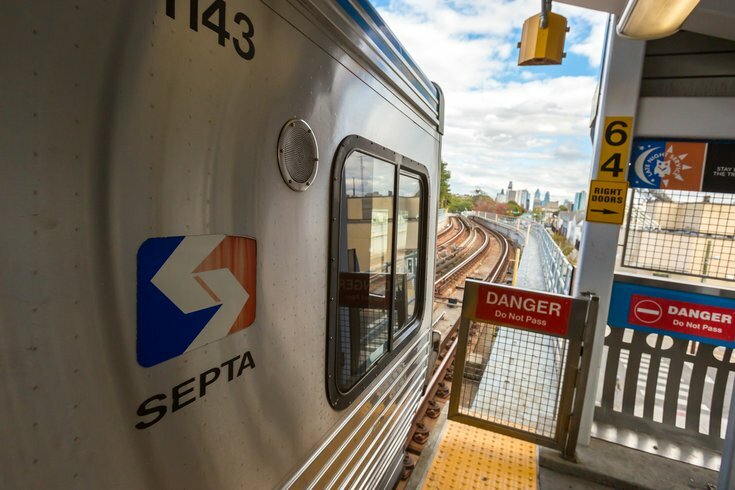 A woman jumped onto the tracks at the 30th Street Station stop on SEPTA’s Market-Frankford Line on Wednesday but an alert driver apparently slammed on the brakes and stopped the train before it could hit her. According to Carla Showell-Lee, SEPTA's director of media relations, the system was de-energized and police removed the woman from the track area. As of 5:23 p.m., she said service had resumed, although trains could be delayed up to 30 minutes. The Philadelphia Police Department did not immediately return a phone call for more information. @SEPTA_SOCIAL a shout out to the female conductor who was paying attention and jammed the brakes without hitting the woman who either jumped or fell on the tracks at 30th Street. people were screaming and crying thinking she was killed but she survived! great job! Someone jumped in front of our train. I was on the 2nd car and it was barely on the platform when we stopped. A male passenger forced one door open to us to get out! The incident apparently impacted service along other parts of the track. Philadelphia resident Desuana Dubose, who was riding a westbound Market-Frankford Line car on Wednesday around the time of the accident, told PhillyVoice that she boarded the subway at 40th Street Station and wasn’t able to get off her car until it reached 69th Street Station. @SEPTA_SOCIAL stuck on the El underground. no power. no announcements. info? SEPTA’s Twitter account and its Market-Frankford Line account had sent out messages alerting riders to potential half-hour delays because of a “medical emergency” and suggested taking shuttle buses in the meantime. "If someone sees someone in distress, they should motion for emergency personnel to help immediately so they can make any effort to stop the train. If they clearly witness someone jumping into the track area, they should not go in after them. We encourage our riders to download the SEPTA transit Watch App so they can safely report an emergency. SEPTA transit police is immediately dispatched. SEPTA has installed Emergency Call Boxes (ECB) in our subway stations. Use of an ECB will place you in immediate contact with the Police Command Center. In an emergency, assistance can be dispatched to your station within moments." All in all, it was a rough afternoon to be riding the El, but it could've been much worse. This is a developing story. Check back for more information as it becomes available.